When ABM initially took over the contract Transport for London’s own press release said that there would be at least 2800 staff and the company informed RMT that the new combined cleaning workforce consisted of some 2,800 to 3,200 people. ABM have now informed the Union that the target figure for the entire workforce is 2,000. This means a one third cut in the Tube cleaning workforce. Tube cleaners will be lobbying MPs on the 29th January – details below - asking that they support the campaign save London Underground cleaning jobs. The lobby will also be demanding equal conditions for London Underground workers and for all cleaning jobs to be brought back in-house. “I am writing to raise my concerns about a massive cut in Tube cleaning staffing levels on the London Underground. “As you know Tube cleaners work in dirty and hazardous conditions, frequently through the night time and other unsocial hours to keep the Capital’s Underground network clear of obstructions and in a hygienic condition. 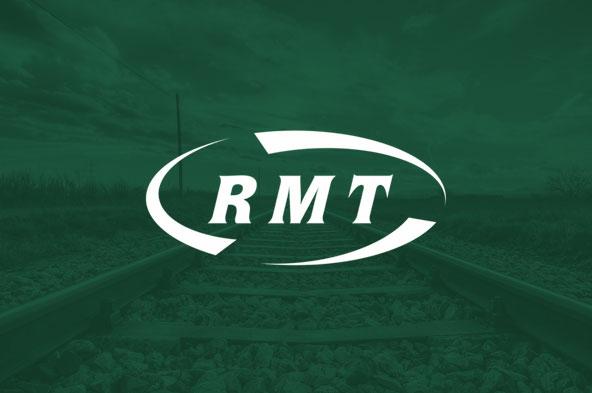 “Now on top of this the RMT have been told by ABM that there is to be a one third reduction in cleaning workforce… This raises serious concerns about the quality and frequency that will be undertaken in the future but also means that the same amount of cleaning work for the whole of the Tube is expected to be done by about a third less staff which will hugely add to the numerous pressures already endured by our cleaners. Bring all cleaning work in – house.